The Legend of the Brompton Bumble B: The final lighting solution....? 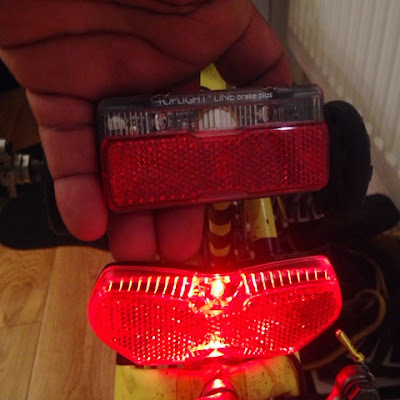 Some more changes to my dynamo rear light. As I was having so much problems with the Toplight Lineview design of rear light I opted to get another version which did the same functions. As you can see with the first dynamo light I had there is a button and a switch on there so you can turn the "standlight" mode off and a polarity switch I'm assuming so if you put the wires in the wrong way round you just flip the switch without having to take the wires out again. Only reason why I tried to stick with the original design was that others in the London Brompton Club have had LineTec design for a long time and not have any problems at all. Now I have the below dynamo light and from what we can tell its ALOT simpler design so I assume alot less things to go wrong. I've had this light on for awhile now and been on some cobble roads for testing and its holding up no problems. 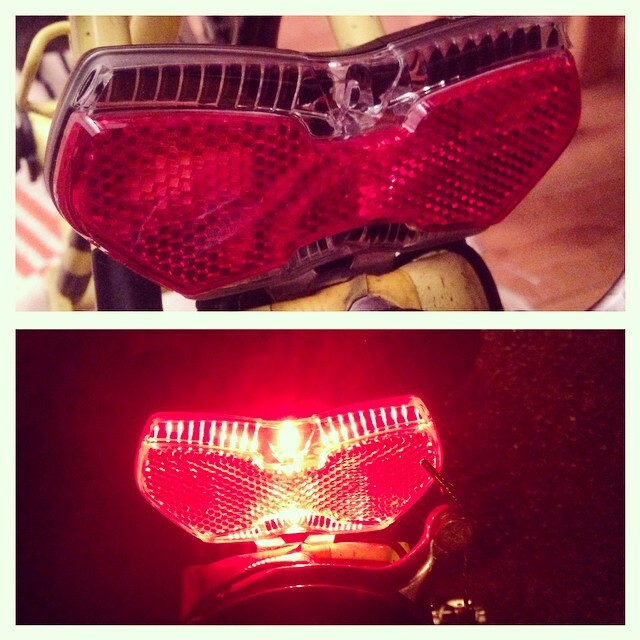 The new light seems to be of a much simpler design and component wise. It has no buttons or switches to play about with. After a few weeks now we're enjoying the new B&M Toplight View Brake Plus & feel much more confident with it. 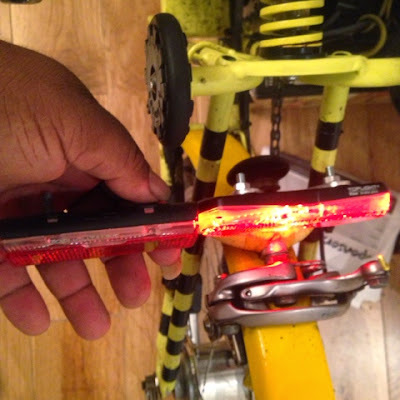 Is the lower LED not obscured by the brake or mudguard? No, the only way that could happen is if your laying on the ground to look at the rear light. I have that same light. 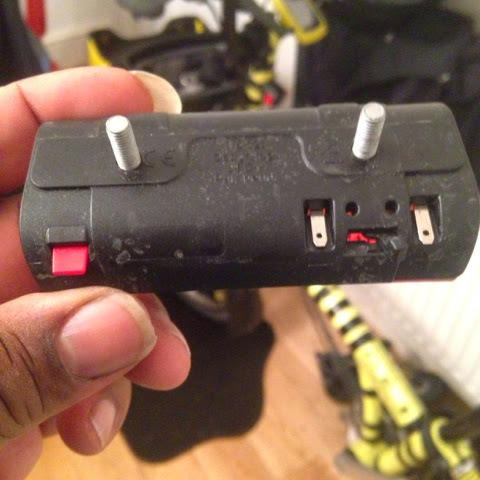 It was on my Bike Friday Tikkit and now it is on my new Brompton H6L. Great light. FYI: That switch is not a polarity switch. That is simply to lock in the wires if you have bare wires. It keeps them from falling out.